Parsnips aren't the most welcoming vegetable -- after all, they look like carrots after an attack by Bunnicula! But strip away that winter-toughed peel and you're left with a white vegetable that's gently sweet and almost honey-like when cooked. 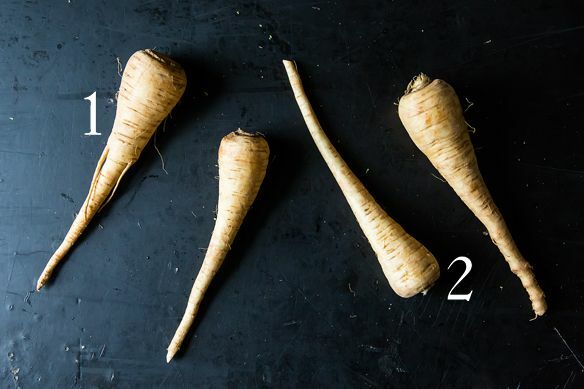 It's easy to forget that parsnips are cousins to some of the most popular vegetables -- carrots, parsley, celery, dill, fennel, and yes, parsnips, are all members of the plant family Apiaceae. According to the book Domestication of Plants in the Old World by Daniel Zohary, Maria Hopf, and Ehud Weiss, ancient Romans even used the same name, pastinaca, for both carrots and parsnips! 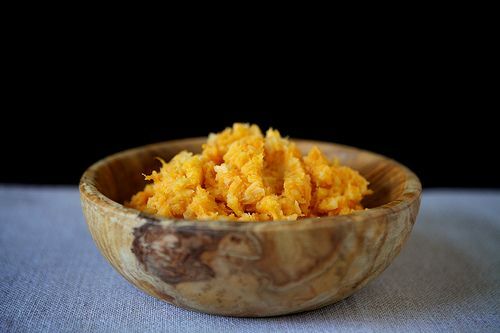 In the kitchen, you can certainly replace parsnips for carrots in many recipes for a milder, more subtle result. For roasting and mashing, however, parsnips are interchangeable with root vegetables from the Brassica family like turnips and rutabagas. But enough about substitution -- it's the parsnip's turn to shine. 1. Notes from the Underground: Parsnips are roots, so they get plenty dirty and knobbly during their months in the ground. (Especially when shopping at the farmer's market, be sure to scrub them!) The secret to parsnips' sweetness is in their time underground, as well. They aren't ready to harvest until two weeks or so after the first frost, when the cold snap of weather converts the starches in the parsnips into sugars. 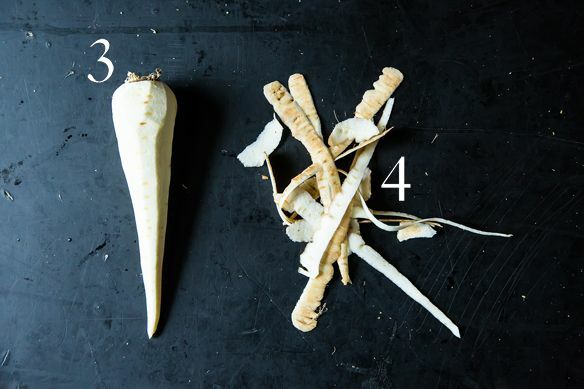 In fact, you can leave parsnips in the ground all winter long without a problem -- just be sure to harvest them before spring, when, as the University of Illinois Extension tells us, new leaf growth turns the parsnip root bitter and woody. 2. Carrot Top: You'll rarely see them, but parsnip greens look just like carrot greens! If you ever find a bunch with their tops on at market, try these tips from Aki Kamozawa and H. Alexander Talbot of Ideas in Food. 3. Parsnips Unmasked: Because parsnips stay in the ground for so long, their skin grows tough and thick. Peel parsnips before cooking them, whether you're making parsnip fries, dicing them for a chicken soup, or steaming them for a mash. 4. Peels: But don't toss those peels! 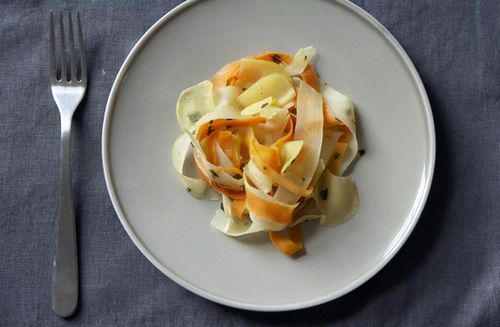 Just like you'd save carrot and potato peels in the freezer for soup on a rainy day, hold on to your parsnip peels to make rich, fragrant vegetable stock. My favorite parsnip story is the time I used the peels to make chicken stock, then made INSIDE OUT CHICKEN DUMPLING SOUP by filling wonton wrappers with a mix of the chopped-up chicken and diced parsnips, carrots, and celery, served in the broth. 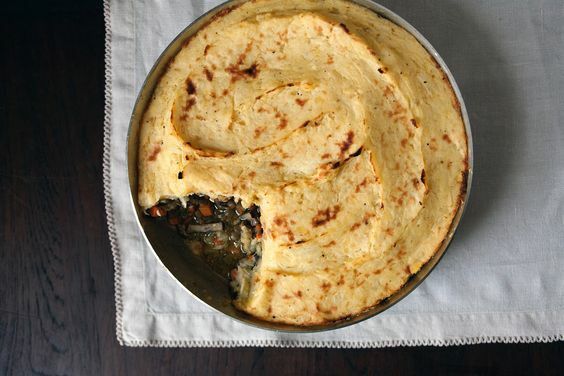 Just made the Vegan Shepards Pie. I used all my peelings for homemade veggie stock! YUM! I also slow cooked some Parsnips with a smashed clove of garlic for baby food, I think I ate more than she did. One of my favorite vegetables, hands down.